Anthony has been the leader of the British Clarinet Ensemble since around 2000. The Ensemble was formed in 1995 under the auspices of the Clarinet and Saxophone Society of Great Britain . Its members are drawn from all four corners of Britain and include professional and amateur players, teachers and students. Since its inception the ensemble has championed British composers, regularly commissioning new works and enhancing the repertoire. In the UK, performances have been given at British Association of Symphonic Bands and Wind Ensembles (BASBWE) and CASSGB conferences. Since their first tour to Finland and British debut in 1995 the BCE has performed in Belgium, Japan and the USA at the International Clarinet Association’s “Clarinetfests”, in Hungary and Poland for the European Clarinet and Saxophone Society and Holland for the Netherlands Single Reed Society. In 2010 they appeared at the 1st European Clarinet festival in Kortrijk, Belgium and then at the 3rd European Clarinet festival in Ghent, Belgium in January 2013. In July 2013 they appeared at the ICA Clarinetfest in Assisi, Italy. 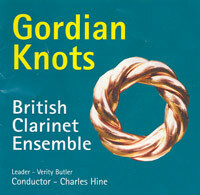 To date they have recorded three highly acclaimed CDs – “Gordian Knots”, Looping the Loop” and “Calles de la Flores”. 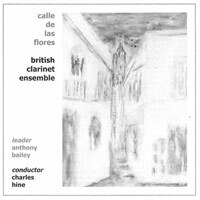 visit http://www.britishclarinetensemble.co.uk to find out more and purchase our CDs.